Welcome to District 12: Adopt The Hunger Games, Noble Collection!! I've been thinking about this for awhile, and the more I think about it, the more I will be so sad if it does not come true. I am very adamant about The Noble Collection selling Hunger Games collectibles. I have been getting The Noble Collection catalog for years, and something from it always seems to end up on my Christmas list. It started when they came out with the Lord of the Rings line and I begged Santa for the Evenstar necklace. Alas, it was a little too expensive for Santa. 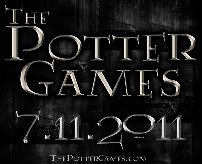 Now fast forward to the day I could not contain myself when they started coming out with a Harry Potter line. The third movie had just come out and they had the trio's wands, a time turner, and only a couple other things. Santa gave me a Time Turner that year which I will always treasure. Today, the Noble Collection has 187 different Harry Potter collectibles. We're not just talking your run of the mill collectibles, these are high quality items, some priced as much as $500. Don't tell me you wouldn't want the Sword of Gryffindor hanging on your wall. So as popular as Hunger Games is about to become, I would love to see this fine company produce high quality items found in The Hunger Games. 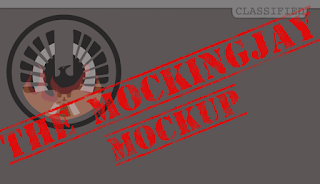 Top of list, no doubt, would be the coveted Mockingjay pin. 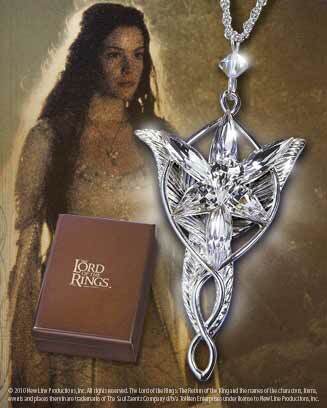 A real piece of jewelry, much like how the Mockingjay pin is in the books. What else could there be? Well, perhaps Peeta's pearl, Peeta's locket, or a sweet Communicuff. Granted there are not many items you could do, but the possibilities are endless when the movies come out. 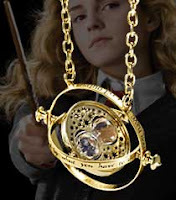 For example, the Harry Potter books don't go into detail about Hermione's jewelry, but much of Hermione's jewelry in the films are sold on the Noble Collection. See what I mean? Many possibilities. So Lionsgate, Hunger Games rights holders, Noble Collection, whoever has the power to make this a reality, MAKE THIS HAPPEN! I am more than happy to give you all my money.